We are pleased to announce a new sale on our Dannmar two post lifts. It’s a great time to jump in and get a lift if you’ve been waiting for a good deal. For the month of July only, you will get a free rolling oil drain along with a frame cradle adapter kit. This, on top of the already low sale prices which average over $100 below the regular prices. The oil drain and frame cradle adapter kit combined is valued at over $250. The oil drain is an 8 gallon rolling reservoir on wheels that has a long neck and funnel at the top. It makes for efficient oil changes so you don’t have to hold a bucket over your head. The frame cradle pad adapter kit allows you to grab the frame of the vehicle so that it won’t slip off the lift. These can come in handy when you have rounded jacking points that might be slick with grease. Another application would be some larger trucks that have frames that turn up at an angle toward the rear of the frame. The trucks would be more likely to slip off the standard flat pads which have a rubber slip on pad over it. These are two popular accessories that not only make your life more convenient and efficient, but also safer. Remember, this car lift sale only lasts until the end of July, so don’t delay! We notified you on previous posts that several of our manufacturers were having price increases starting April 1st. This is just a friendly reminder that this Thursday, March 31st is your last chance to get in at 1st quarter pricing. We feel confident you won’t see these prices ever again. Every single manufacturer we carry has been increasing prices lately, or has a price increase coming soon. The three manufacturers that have price increases on April 1st are – BendPak, Dannmar and Thermal Dynamics. 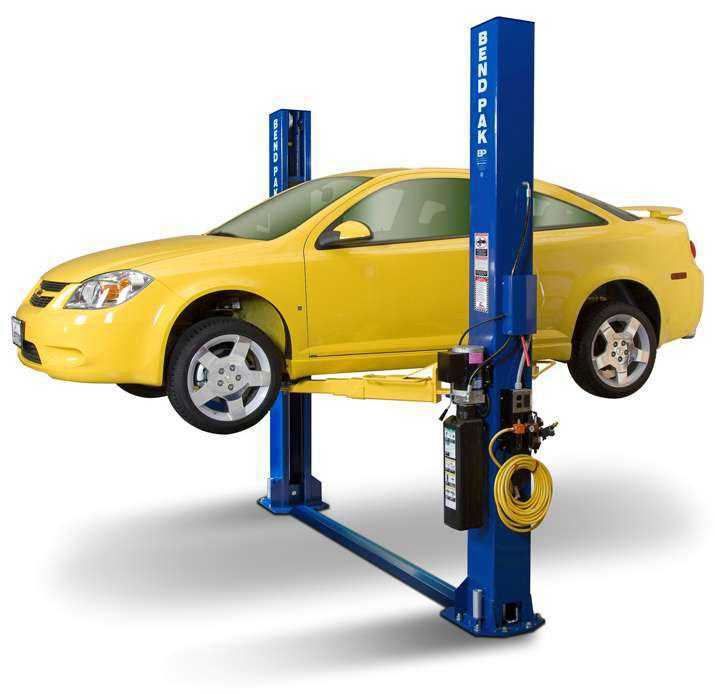 BendPak Lifts are a staple in our product lineup. They are tough to beat when it comes to quality, features and price. Plus they have one of the widest selections of varieties we’ve ever seen. Dannmar makes some pretty darn good lifts too. Their clearfloor two post lifts just got ALI Certified, so that’s an exciting new development. Thermal Dynamics is one of the largest and best welder and plasma cutter manufacturers. Top quality, some units made in USA and some made in Italy. Don’t delay. Prices will never be at these levels again. You may not spend a lot of time thinking about the safety of the workspace in your garage, but you should. There all kinds of statistics that illustrate the number and costs in real monetary terms along with costs in terms of productivity. Chances are, at some point, you will see a case of an injured worker, culminating in a worker’s compensation issue, or worst case scenario, a lawsuit against you or your business. If this has happened to you, you know the frustration and tension it causes. If it hasn’t happened to you yet, odds are, it will at some point in your future. But there are things you can do to prevent it, or at least decrease the odds. Keeping your workspace safe from hazards and accidents is vital not only for your employees health and any other individuals who might enter your shop, it’s also important to the health of your business. Get an Exhaust Vent System. This can eliminate a very immediate and dangerous hazard of carbon monoxide poisoning. But it can also prevent a longer term, potentially debilitating illness, as the long term effects of breathing exhaust fumes is obvious. 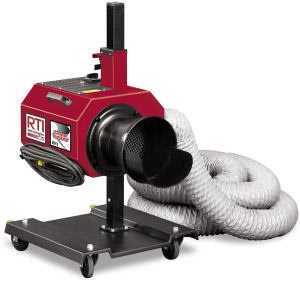 We carry two different portable exhaust vent systems. One by RTI, and one by John Dow / Eurovent. Both are top quality and reliable pieces of shop equipment. Don’t get cheap when it comes to an Automotive Lift. 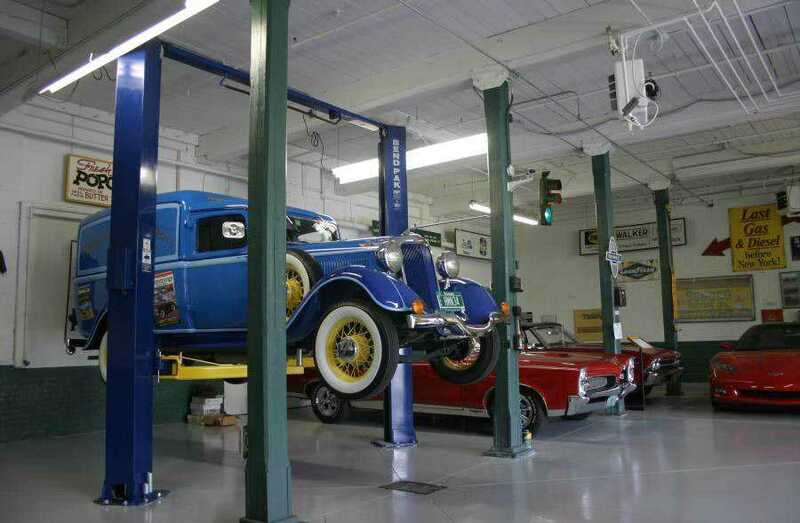 Many shop owners looking to save a buck, assume that a lift is a lift is a lift. So they purchase one of those bargain lifts for $1495 and figure it’s just as good as a premium quality lift. Nothing could be further from the truth. Get a lift that is ALI Certified. Our Bend Pak Lifts are ALI Certified. Most of their two post lifts and four post lifts are certified by ALI. This means that they meet extremely strict standards for safety and quality. ALI is the premier authority on lift safety and quality. One look at a BendPak lift will show you why they are one of the best names in the lift industry. If you’re the one standing under it, you’ll grow to appreciate the quality. We recently came out with a dimensional drawing for all our BendPak Two Post Lifts, and it was very helpful. Customers raved about it, because it was very helpful to determine which lift will be suitable for their application. Well, now we’ve got dimensional drawings for all models of our BendPak Four Post Lift. This can be important to determine if a specific vehicle will fit on, or under it, and if it will fit in your garage. 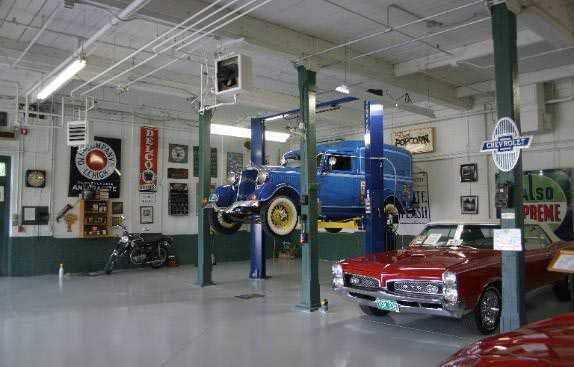 It will also help you determine the best placement for your car lift inside your garage. Let’s say you have very limited garage floor space available, and you also have an obstruction somewhere on the side of your garage. For instance, a side door that leads to your home. You want to make sure you can place the auto lift in the proper position so it will not interfere with opening that door. It’s A dimensional drawing that provides all of the key dimensions that everybody wants. Overall height, overall width, sure, but much, much more. Many manufacturers provide certain key dimensions and specifications for their lifts, but BendPak provides dimensional drawings that illustrate the most important, and even sometimes, obscure dimensions that may be important only to a select few customers. Let’s say you want to know the distance from outside of runway to outside of runway. Even though BendPak doesn’t provide that specific dimension, they give you the proper tools to deduce it. Take the dimensional drawing below. Just multiply dimension I by 2, and then add that figure to dimension J. This will tell you the width from outside of runway to outside of runway. If there is a specific dimension you need, but do not see, just contact us and we will get you the answers you need. If you scroll down to the MORE INFO section on any of our product pages, you’ll find a link to the hoist dimensional drawing that you can pull up in PDF format. Of course, if you have questions, you can always contact us. We’ve been selling BendPak lifts for over 20 years, and know these products better than practically anybody. We’ll make sure you get the proper lift for your application the first time. We have always provided a specification chart for our BendPak Two Post Lifts, and it was very helpful. But to really determine which car lift will be suitable for their application, many customers wanted more. Well, now we’ve got just what you wanted. This can be important to determine if a specific vehicle will fit on, or under it, and if it will fit in your garage. It will also help you determine the best placement for your lift. It’s A dimensional drawing that provides all of the key dimensions that everybody wants. Overall height, overall width, sure, but much, much more. The dimensional drawings include width between the columns, the length that the arms will telescope out to, the lifting height with the shortest and the tallest adapters, the lowered pad height, drive through clearance and more. That’s what BendPak is all about. Giving you everything you need to make your life easier. Some people want options. Auto shop owners and home hobbyists who purchase our BendPak Lifts will ask for all kinds of options / accessories. Sometimes it’s truck adapters for their two post lifts, (which come standard on all Bend Pak Lifts). Other times, a home hobbyist will purchase the optional caster kit for their four post lift, so they can roll it around their shop and make it a portable lift. Most customers are happy with the standard shade of blue that Bend Pak offers for their lifts. But every so often, we get special requests from customers for an alternate color. BendPak is able to accommodate these customers for a reasonable fee. The basic alternatives offered are the traditional black and red. Another option is yellow. These colors come at two different options when it comes to time frame. If you are in no hurry, and would like to save a buck or two, the “long term” time frame option price is very reasonable and typically takes 60 to 90 days to become available. The fee could run from $130 to $175 for a 10,000 lb. two post lift. If you cannot wait that long, you can always go for the “expedited” rate, which runs over $400 for the same type of lift. This should be ready to ship out in a couple of weeks typically. If you desire a custom color, give us a call at 800-229-6218 and we’ll quote you on that. No matter what you need, we’re here to make you happy.